Nelson Mandela, South Africa’s first black president, died on December 5th last year at the age of 95. He served over 27 years in prison for conspiracy to overthrow the state. Throughout his youth, South Africa was under white minority rule practicing apartheid to segregate the blacks from the whites, a system which deprived the blacks of any human rights, including suffrage. Mandela initially advocated armed resistance to apartheid in the 1950’s, but later became convinced that only a non-violent human rights movement can bring reconciliation between the blacks and the whites, overcoming the deep-rooted animosity. 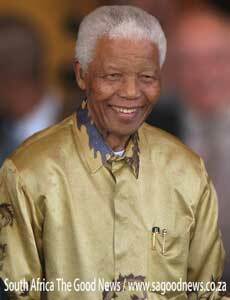 Mandela dedicated the remainder of his life to this lofty aim of creating a society where all people live together in harmony and with equal opportunities, which consequently earned him the Nobel Peace Prize in 1993. We should remember this great man whose voice spoke volumes. Mandela fought against inequality, poverty and injustice with unyielding courage, which is clearly described in President Obama’s words referring to him as “the last great liberator of the 20th century.” I stood in awe realizing Mandela’s tenacity and indomitable spirit that made him emerge from his childhood spent herding cattle to become the icon for civil rights. Even at our individual level, he has taught us that each of us has potential to live up to our goals with determination and relentless pursuit. I feel greatly inspired every time I read his words, “The greatest glory in living lies not in never falling, but in rising every time we fall.” Mandela never remained defeated, but rose every time he was crushed, and never ever gave up his ambitions of creating an equal society. South Africa could have escalated into civil war without this great leader. Mandela showed us that it is not with weapons but through dialog that we can unite a nation. With many conflicts taking place in the world, the international community should learn from his legacy and drum his message of peace loud and strong.